It was with much admiration that I had raised my voice in support of Anna when he first articulated my frustration with the government. It seemed like a David versus Goliath folly, yet there he was, ready to fast in protest of corruption. He and his team had a draft of a Lokpal Bill. It would create an ombudsman with the power to investigate and prosecute corruption among the elected politicians. Quixotic and astonishingly ambitious, I was certain it would fail, yet I stood firm by them. And many, many, many did. There were protests all over, everywhere. Insane numbers of people dropping what they were doing to land up at protest locations and spend time sitting in the sun and protesting. Film personalities, public figures, activists, religious leaders and even political parties fell over themselves in alignment with what was very obviously a massive demand from the people. It was astonishingly powerful and even took Team Anna unawares. The movement was going good. From then to now has been a slippery slope of eroded focus. Much of it was deliberate and orchestrated by the government. Personal attacks in the form of accusations against team members, fabricated allegations of corruption, exposes of previous misconduct of the team members… Yet, it is my belief that a movement as massive as this cannot be killed from the outside. It takes self-destruction. And self-destruct they did. What they failed to realize was that their support was largely derived from frustration over the scams and the UPA/Congress lack of any self-policing without pressure. While they criticized this, the movement was tightly focused, with a singular objective. Their stated non-alignment was unnecessary at that point, but appreciated anyway. Somewhat at the prompting of the government and media, but willingly enough, they criticized some entities, disowned others and started voicing opinions on everything. The media wants sensation, and they were it. The government wanted them to spread their resources too thin. However, their supporters found themselves defending too many statements of theirs not related with the task at hand. They were all over the place and overloading people following them attentively with irrelevant stuff. Still other supporters found their own core alignments criticized and disengaged. This was lowered support, but still not the end of the world. They could have self-assessed and self-corrected, or even openly accepted criticism and acted on it to become more coherent and focused. On the contrary, they chose to become larger than life, using the credibility of the powerful movement to air own opinions – again on a variety of things not related with the main task. Further power games followed including totally inexplicable forays into election campaigning, canvassing opinions in electorates of specific government personalities, whatever. Like I said, too much clutter. People started tuning them out. The more this was pointed out or criticized, the more they refused to reflect or respond and the more reactive they became. A classic instance was the Kiran Bedi and inflated bills issue. It is a common enough occurrence and really all that was needed was admitting that it was not ethical and not doing it again and following whatever resolution was issued. We do many things we don’t register as corruption, but the important thing is what we do after it is brought to our awareness. The adamant insistence that it was not wrong was a major milestone in the destruction of the IAC’s credibility. Anna is probably the only one of the lot who seemed to be aware of this and he made several attempts to refuse to comment or take vows of silence, but not enough. Too many thoughtless comments still happened. Kejriwal and Bedi were totally oblivious to the impact of their words. This also gave strength to the government, because when you are criticizing too many things all the time, it becomes your quality rather than a thought out comment on something. Contrary to what people imagine, speaking in public is very easy once you have started. The high of all the attention and questions keep you going indefinitely. The real difficulty comes in knowing when to not speak. When and how to disengage and create boundaries without alienating people. It is something that comes from experience and introspection. Admittedly, these mistakes are easy to make, and holding the space for a diverse group of people to feel an ownership is one of the most incredibly difficult tasks that can face a leader. 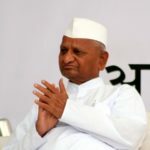 The sudden and unexpected response to the Andolan also put Team Anna well beyond their own leadership abilities, and I think much of the arrogance came from the spontaneous perception of being massively right that a large following creates. It was a lack of humility and disrespect for those they chose to judge that compounded matters, but these too are human qualities. We all have them to some point or the other. I do respect them for the stand they are taking and their determination to forge ahead no matter what. It is easy to criticize, but an enduring courage of conviction is an admirable commitment in itself. I do believe that a Lokpal can serve a functional role in our country. I do know that there is risk of corruption there too, but then with this logic, we can’t create anything. I think it is admirable the way in which they have evaluated inputs and arrived at what they believe are the optimal conditions for a Lokpal. Some compromises are going to be necessary, but they begin with a starting point that is well researched, and theirs is certainly that. I also don’t think all is lost for Team Anna. It is possible for them to become low key and keep their words in public strictly true to their purpose. Those listening will notice, and there is still a following that believes in the original purpose even if they lost focus later – like them. 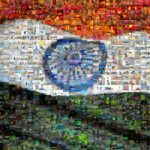 I think that the time has come for the Lokpal to be robustly debated and there are no people who have thought on this subject more than the IAC. Their public comments will also influence thought whether accompanied by threats or not. I think, they should do quiet support groups rather than protests. They should explore the power of data by presenting in their gatherings data and statistics that support their stand on different issues under debate in the Parliament. There is no need to fast. Follow the Lokpal debate carefully and comment on what they see going wrong or what they think needs to happen. Offer their considerable expertise and thinking for consideration, but accept whatever the Parliament finally comes up with. Their commentary will reach ears that matter. Their epic struggle has ensured that. The quietening of rhetoric will allow thinking space and the Lokpal will gain from that. Today, they stand at a point where a ground booked for large crowds saw a few hundred supporters – there was a time when that many were in my locality alone. I do think that many factors conspired to the poor turnout – the holiday season, when people schedule special time with families; debates happening in the parliament on the Lokpal Bill – which actually would keep analytical and vocal supporters and home and glued to television screens BECAUSE they support; the cricket match which is another strong passion for most Indians – that too with Sachin’s hundredth century on the horizon… that is some really tough competition for attendance. 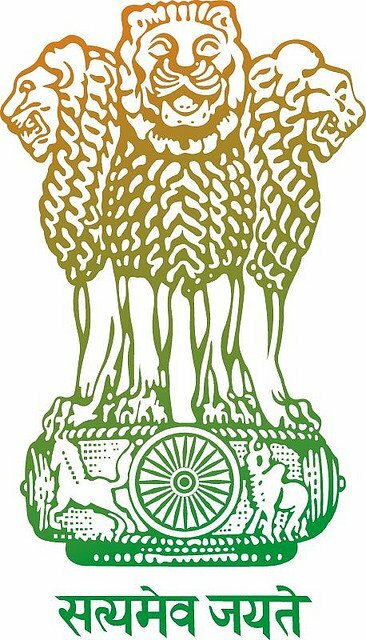 I also have a feeling that the Lokpal debate got delayed by the government precisely to hit this time frame, but I have no proof, except observations of multidimensional dis-empowering being a recurring pattern with the government. While I too had moved away from them when they derailed, there is a part of me that still admires them, appreciates their courage and the service they are doing to the country by doing everything they can to create an ombudsman that will be as effective as possible. One thing is certain that without them, not only would we not be debating a Lokpal Bill (which is something many would prefer), but we also wouldn’t have seen this massive political awareness and galvanization of the country and the willingness to have a stake in contributing to its future that we see among citizens. Whatever happens to the Lokpal bill, this is one unmatched service they have already done to the country – got citizens thinking that it is possible to have a hand in shaping the destiny of their country in a legitimate manner. They have successfully given shape and maturity to the volcano of civil fury that was smoldering and given it an outlet that is non-violent and believes in shaping the country rather than overpowering it. Today, I am a little nostalgic at the subdued closure of the fast. I want them to know that I appreciate all they have done, and whether they succeed in having a further influence, or fail, I acknowledge that they have done much for India. good riddance team Anna … wrong motivation, wrong path, wrong objective, wrong words, suspect intentions … how much more undesirable can one be ? Anna will die a forgotten man … the only thing that will last is the the scornful laugh that we will laugh at the memory of his self declared saintliness.